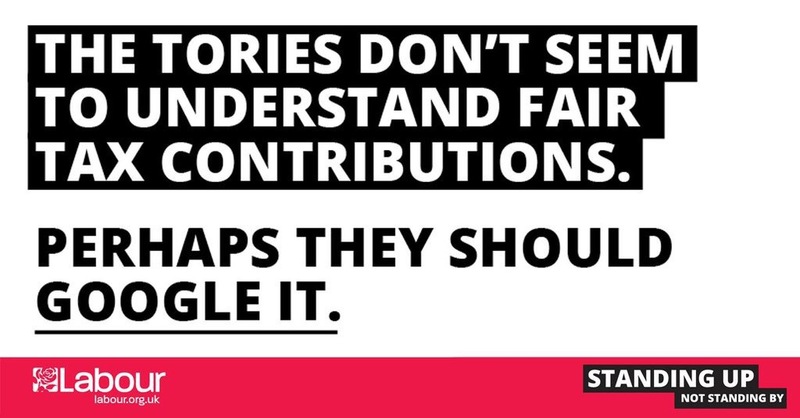 Labour have attacked the Chancellor George Osborne (and Google) in their first piece of national advertising since Jeremy Corbyn was elected leader. The poster-style executions carry the party’s newly unveiled election slogan “standing up, not standing by”. The two most important things to achieve when creating a piece of political advertising are intellectual clarity and an impactful visual. Whilst Google’s tax affairs might be something that gets the hard left hot under the collar it’s not something that voters will see as an issue that is particularly relevant to their everyday lives. And even if it was, nothing is offered as to what Labour could / would do about it if in government. And the executions – both copy and art direction – are clumsy and uninspiring. The use of “google it” as a piece of wordplay reads like a slightly desperate dad joke. 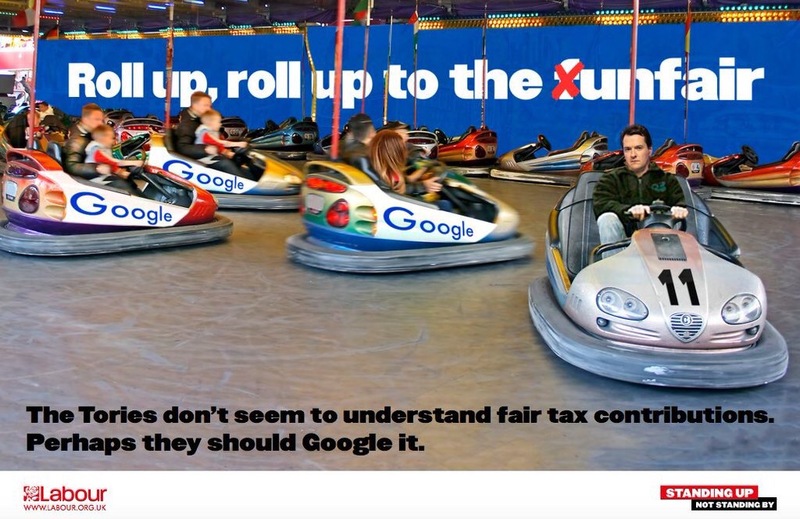 And why is Osborne in a dodgem car? What relevance does a funfair have to Google? The visuals don’t relate at all to the issue at hand. Aside from the fact that “unfair” rhymes with “funfair” – which is so tenuous that it makes the ad quite confusing. Viewers will assume there’s some deeper meaning which they don’t understand. Finally, the language – “Don’t seem to understand” / “Perhaps they should” – is just so pathetically weak. It’s almost apologetic in tone. It doesn’t get much worse than this I’m afraid.